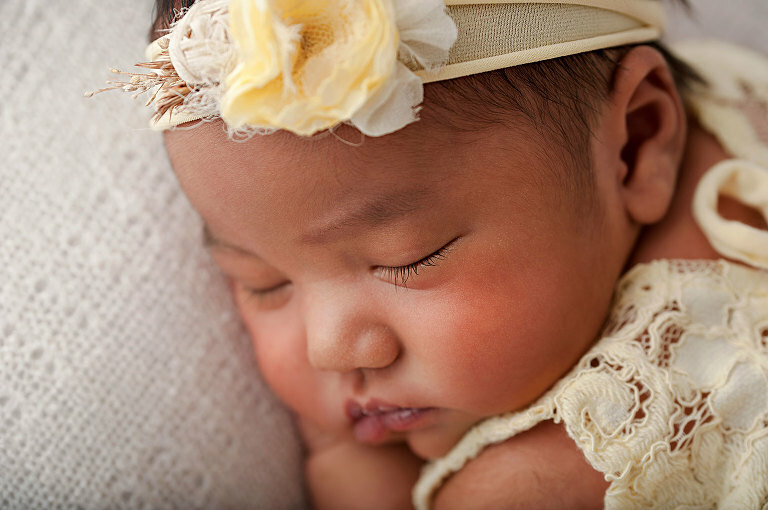 I often get asked “Do I need to bring anything to my newborn’s session?” The answer is NO! One of my favorite parts of newborn photography is sourcing beautiful organic props from many vendors local and around the world. I love finding unique and textured pieces that add that little bit of extra to your photos. From organic sheeps wool, to cute headbands and bonnets, to handmade miniature baby beds, I have something sure to suit your tastes. And maybe you don’t like any of that stuff at all, and that’s ok too! 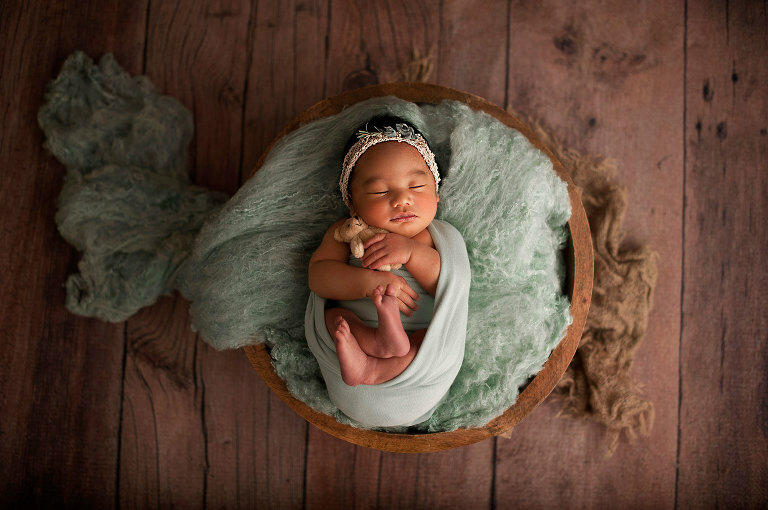 Many mommas opt to focus on just their sweet little newborn, without any props at all. I strive to make your session just want you want it to be. If you do have an item you want incorporated just let me know ahead of time and I’m always happy to include it. 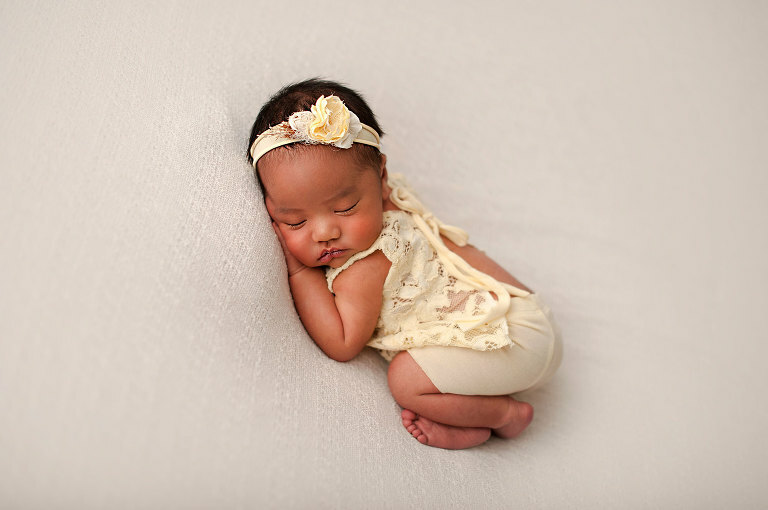 Grandma’s vintage quilt, that sweet embroidered onesie you made yourself, a favorite lovie, whatever it is it will make your newborn photos extra special! My Bluffdale, Utah studio is also stocked with newborn diapers and wipes, snacks and drinks for mom and dad, and a comfy couch to relax on. I have Netflix and a really incredible park down the street if you have other children that need to be here for the entirety of the session. I really won’t need your help much so be sure to bring whatever you’d like to entertain yourself while you’re here. It’s a perfect time to get those thank you notes written! Could 9 day old Maopa be any sweeter? I mean, that grin!! She was the perfect little model for me. Newborn macro shots are some of my favorites. I want you to forever remember those pouty lips and long eyelashes!